To sign up to the Blue Sea Holidays - Family Newsletter, simply click the Request Newsletter button below and you will receive amazing special offers, discounts and access to secret sales. These top–value, flexible and unforgettable trips guarantee to give you and your family something to look forward all year round. Their wide selection covers Europe's most popular resorts and hotels, helping you find the perfect holiday at the perfect price. And with extras like flights, transfers and board basis available, this could be the best family holiday you've ever had. 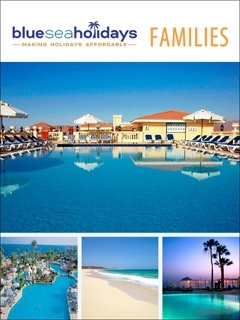 The finest family holidays - Choice from hand-picked hotels in Greece, Turkey, Canaries, Balearics and more! Blue Sea Holidays - Family Newsletter Rebecca B. said: This is a definitely will book in the future-some fantastic deals. RT @WanderlustChloe: LINCOLN ❤️ The final stop on my #EnglandOriginals trip, and oh so pretty! I've walked the castle walls, ventured down. By Pressing the Request Newsletter button you give Blue Sea Holidays - Family (and their Data Processors for the specific purpose of delivering your emails) consent to send you their newsletter via email until such time as you choose to unsubscribe.